For many years, scientists and researchers dismissed work looking at how the physiological can affect the psychological, and vice-versa. Most individuals had an inkling that there was some connection, but it was difficult to prove and often dismissed as soft science. New research in the field of psychoneuroimmunology has shown some interesting trends, and helped to enlighten the scientific community as to the probable connection. In an article published in Scientific American, they noted that “studies during the 1980s and early 1990s revealed that the brain is directly wired to the immune system — portions of the nervous system connect with immune-related organs such as the thymus and bone marrow, and immune cells have receptors for neurotransmitters, suggesting that there is crosstalk.” The immune system is so complex and influences basically every part of the body, which can make it hard to investigate and fully understand. 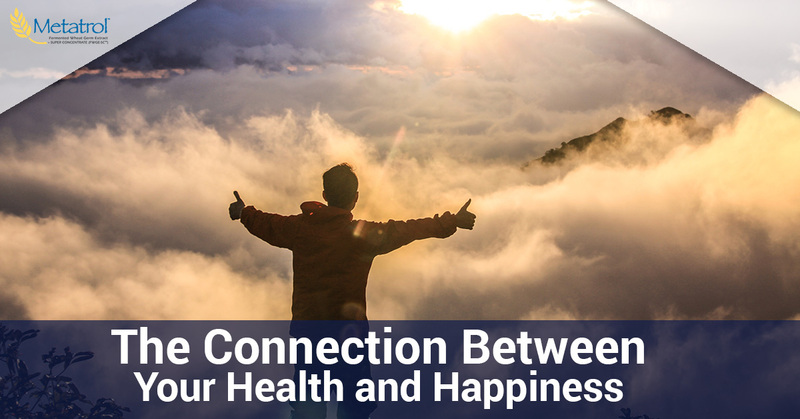 However, while the physiological influence of happiness can be harder to investigate, studies have shown the link between stress and your immune system. In a study by Ronald Glaser, he examined medical students during the semester and during exam time. He found that during exams, “they had lower activity from virus-fighting immune cells, and higher levels of antibodies for the common virus Epstein–Barr, suggesting that stress had compromised their immune systems and allowed the normally latent virus to become reactivated.” So where does happiness fit in this immune system picture? During studies looking at how the nervous system and immune system affect one another, scientists examined the variety of gene-expression profiles and how these profiles can change. Several studies have looked closely at things like mindfulness meditation and the effect that this process can have on gene expression versus control groups. In several studies, the researchers found distinct shifts away from traits like inflammation and other negative conditions towards an increased immune system after the addition of several weeks of guided mindfulness meditation. The conclusion is that if you change phycology, mood, and thought patterns, you can influence physiology. While there is no definitive protocol for incorporating happiness into your life to help improve your immune system, things like mindfulness, exercise, and hobbies are probably a good place to start. And in times of stress, when you now know that your immune system can be suppressed, consider taking an immune system supplement to give it the support it needs, such as mushroom extracts, vitamin D3, and fermented wheat germ extract. That way, you’re taking a whole-bodied approach to your care and tackling each aspect that you may need in order to feel your best.